A man was killed Friday morning when he was struck by a vehicle on Interstate 805 in the Sorrento Valley area, officials said. 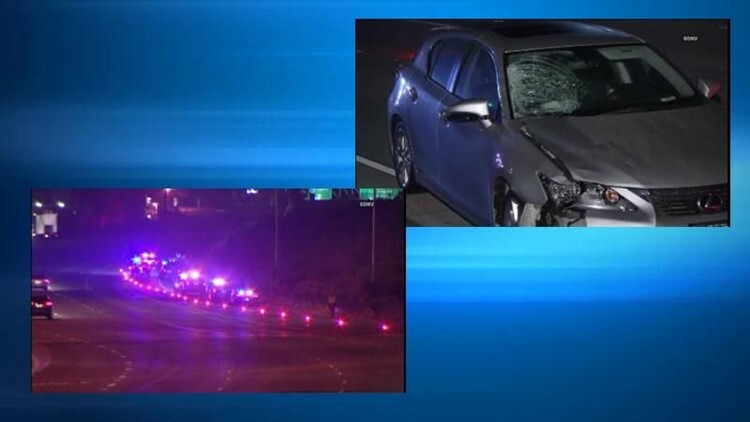 SAN DIEGO (CNS) - A man was killed Friday morning when he was struck by a vehicle on Interstate 805 in the Sorrento Valley area, officials said. It happened shortly before 3:40 a.m. on northbound Interstate 805 near Sorrento Valley Road, California Highway Patrol Officer Tommy Doerr said. The man, who was not immediately identified, died at the scene. The circumstances of the collision were under investigation and no vehicle description was immediately available. Officers shut down the right lane of northbound I-805 following the collision. The lane was reopened around 5:15 a.m. The driver of the vehicle that struck the man remained at the scene and was cooperating with officers, Doerr said. No details about the driver were immediately available. CHP officers were investigating the collision.